How much can I afford to invest in acquiring a new customer? 1 We become very focused on short-term return on investment (ROI) and so may not invest sufficiently to grow our business. 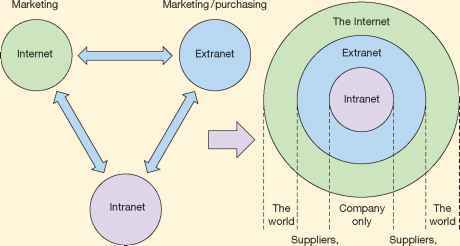 2 We assume that each new customer is worth precisely the same to us and we ignore differentials in loyalty and profitability between differing types of customer. • Make decisions about the value of introducing new e-CRM technologies. Figure 6.11 An example of an LTV-based segmentation plan aim is to reduce costs in communications and if they do not remain as customers this is acceptable. 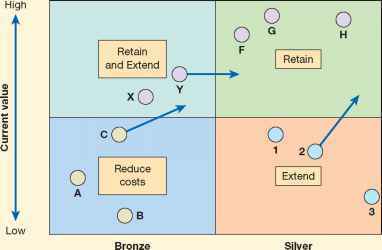 Some bronze customers such as group C may have potential for growth so for these the strategy is to extend their purchases. Silver customers are targeted with customer extension offers and gold customers are extended where possible although they have relatively little growth potential. Platinum customers are the best customers, so it is important to understand the communication preferences of these customers and to not over-communicate unless there is evidence that they may defect. To illustrate another application of LTV and how it is calculated, take a look at the last example in Activity 6.1.